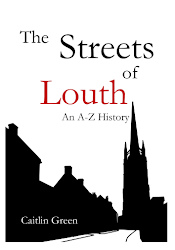 The pubs of Louth feature frequently in the Victorian newspapers and court reports that I looked at in my Streets of Louth a few years back. Some of these establishments, like the Turks Head (arguably the oldest surviving inn in town) appear to have been fairly law-abiding places, seeing only occasional brushes with the law for minor infractions. 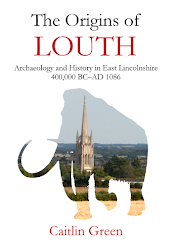 Others, however, appear to have been rather more disreputable, and three of the most notorious of Louth's Victorian pubs are highlighted below. The Rag & Louse was a Victorian beerhouse and 'tramp lodging-house' located in the Aswell Hole, down the horse-steps from Aswell Lane (now Aswell Street), a location it shared with an extensive spring-fed pool and number of brothels, according to the newspaper reports of the early to mid-Victorian period. It was officially called the Lord Nelson, but it appears to have been more usually known by the rather less salubrious name of the Rag & Louse. From the 1840s, it was run by Patrick Kayes—'a son of the Emerald Isle'—and his family, and it may have been related to the brewhouse and 'private brewery' that was located in the Aswell Hole in 1837, 'immediately adjoining the Aswell Spring'. The premises themselves must have been fairly extensive, as in 1851 there were 23 people staying in the establishment, including a large number of agricultural labourers and a beggar. 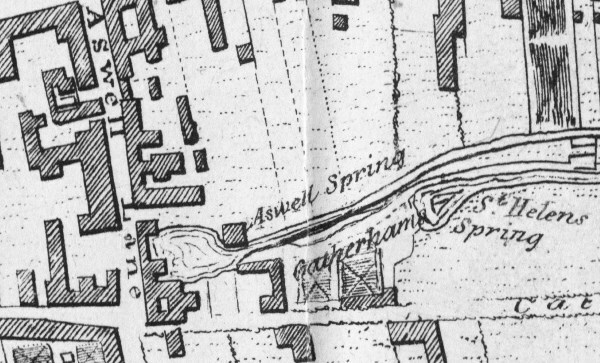 Aswell Hole, off Aswell Lane, showing the pool, spring and buildings here as they appeared in 1834 (plan by R. S. Bayley, 1834). As a beerhouse, the Rag & Louse appears to have been just as pleasant as its name suggests. 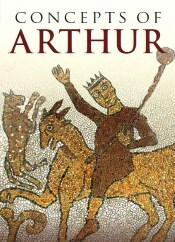 The newspapers of the time recorded it as the site of a considerable number of disturbances of the peace and it was described by one correspondent (William Brown) as 'notorious' for its bad behaviour, great noise and disorder, with stolen items being fairly regularly discovered in its rooms and drunken brawls erupting out into the Aswell Hole between its patrons. Of course, the Rag & Louse was not the sole cause of disturbances in Aswell Hole in the early and mid-Victorian period—the Hole was also the scene of a public brawl between the inhabitants of neighbouring Spring Gardens in 1846, and in 1848 six young men were each sentenced to two months hard labour for rolling a lighted tar barrel down the horse steps of Aswell Hole at 10pm at night! Nonetheless, one of the more disturbing incidents did begin there. In November 1865, an Irishman named Martin Monaghan, of Westgate Cottages on Irish Hill (now demolished), was charged by John Gibbons, 'a fellow-countryman and neighbour', with a 'most brutal and unmanly assault' that saw Monaghan bite off the whole of Gibbons' lower lip. The appearance of the victim in court was described as horrible, with the whole lip torn away. Apparently, Gibbons had been drinking in 'Pat Kaye's beer-shop in Aswell-hole' when the altercation started, although the final assault took place on Irish Hill, when Monaghan challenged Gibbons to a fight during which he took hold of Gibbons’ lip with his teeth and bit it off. Monaghan was, incidentally, fined only 30s for the injury to Gibbons (equivalent to around £109 today), which he paid and so avoided a short prison sentence. The view up to Aswell Street from Aswell Hole in 2014 (image © Copyright Chris and licensed for reuse under a CC BY-SA 2.0 licence). The Rag & Louse was finally refused a renewal to its licence in 1869 and the property subsequently appears to have continued solely as a lodging house—it continued to play this role as late as 1901 and 1911, when it was still run by a member of the Kayes family and offered rooms to up to twelve patrons, including two Italians who were travelling with a piano organ! The Dog & Duck beerhouse was located almost directly opposite the chancel of St James’s Church, between Chequergate and Eastgate and had been newly built in 1832, its first landlord being one Thomas Wakelin. In 1846, Joseph Johnson was the landlord and he was charged by Sergeant Chapman and Police Constable Ryall with allowing prostitutes to assemble and drink in his beerhouse at night. The following year he appeared again before the court, when he was accused of resisting and refusing to admit two police officers into the Dog & Duck. The policemen entered the Dog & Duck on the night of the 5 January and attempted to go upstairs, at which point Johnson grabbed Police Constable Ryall around the neck to prevent him doing so, calling out "here's the police!" Forcing their way upstairs, the constables encountered around twenty men and prostitutes dancing, and the defendant's wife pulling other prostitutes into a bedroom. PC Ryall attempted to see into the bedroom to identify the prostitutes, but was refused entry. Joseph Johnson had apparently been charged with similar offences in the past, his beer house being one of 'notoriously bad character’, and he was fined £2 plus costs on this occasion—that is around £150 today, adjusted for inflation! By 1852, Johnson had been replaced by Benjamin Turner as the landlord of the Dog and Duck, but he seems to have been equally uncooperative with the police, being severely reprimanded by the magistrates on the 24 December 1852 for refusing to admit the police into his beerhouse and permitting drunkenness in the Dog & Duck. 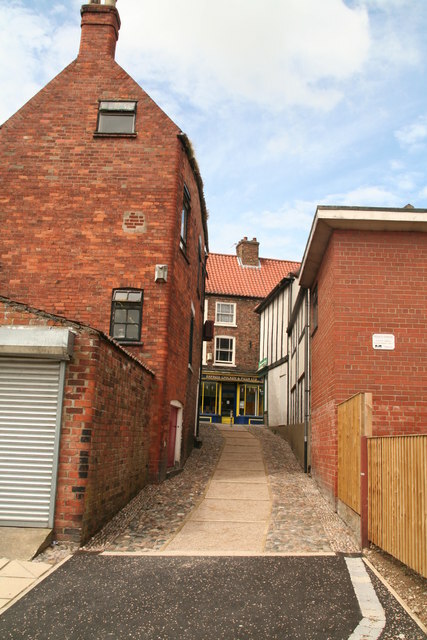 The site of the former Dog & Duck, opposite St James's Church, Louth; the Dog & Duck was the second building visible on the left of the image. Photo © 2014 Google. This short-lived but notorious beerhouse was located somewhere on Walkergate (modern Queen Street) and was run by Samuel Walker in the late 1830s. In March 1839, the Marrowbone & Cleaver was raided by the police, who had been informed that Walker was running it as a brothel by parents who told Police Constable Ryall that 'their children had been ruined by resorting to Walker's house'. When inside they found 16 prostitutes all aged between 13 and 18, according to the final reports, who were said to be dancing to the music of two fiddles along with a number of local 'bad characters'. One of the girls, Elizabeth Stone (who seems to have been 13 and, it is said, already 'diseased'), was apparently given a 'fatherly lecture' by the magistrate, Samuel Trought, Esq., before being sent back to the House of Correction, where she had been committed for a month as a prostitute; Walker, in contrast, was fined £5 and costs, equivalent to around £350 today, and then appears to have spent the following months trying to avoid paying his fine, apparently with some success. Modern Queen Street; the exact location of the Marrowbone & Cleaver is unfortunately unclear. Photo © 2014 Google. The Marrowbone & Cleaver had closed down by 1850, when it was operated as a lodging-house by James Marchant. However, despite no longer being a beerhouse, the building continued to cause trouble for local law enforcement. In that year, it was the scene of a three-hour fight between two families of lodgers who lived there and some of the local residents. According to newspaper reports, one of the lodgers (Michael Mitchell) was liberated from prison in the morning, where he had been incarcerated for drunkenness, and the lodgers then proceeded to have a celebration at the former Marrowbone & Cleaver involving rum and a fiddler. A row began which erupted into the public street and the resulting fight came to rapidly involve the local residents of the area, at its height encompassing around 20 people and implements ranging from mallets, chisels and kettles to saws, knives, irons and hammers! When the local police force appeared to break the fight up, the families retreated into the lodging-house, barricaded themselves in and then engaged in a battle with the police to prevent them from entering and arresting them, a battle they eventually lost. The content of this page, including any original illustrations, is Copyright © Caitlin R. Green, 2014, All Rights Reserved, and should not be used without permission. 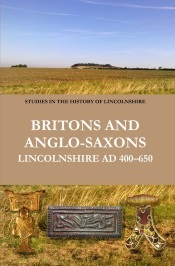 It is based in part on my book, The Streets of Louth, which offers additional details on the early history of the streets and buildings mentioned above and is available to buy as a paperback.